Hanalei is a census-designated place (CDP) in Kauai County, Hawaii, United States. Step off the beaten path and head to Na Pali Coast State Park and Dolphin & Whale Watching. Take a break from the city and head to Waimea Canyon State Park and Hanalei National Wildlife Refuge. Get out of town with these interesting Hanalei side-trips: Kayaking & Canoeing (in Kapaa), Poipu Beach Park (in Poipu) and St. Raphael Church (in Koloa). For where to stay, more things to do, traveler tips, and more tourist information, read our Hanalei travel planner. London, UK to Hanalei is an approximately 21.5-hour combination of flight and taxi. The time zone changes from Greenwich Mean Time to Hawaii Standard Time, which is usually a -10 hour difference. Traveling from London in April, things will get much hotter in Hanalei: highs are around 31°C and lows about 24°C. Finish your sightseeing early on the 4th (Thu) so you can travel to Kihei. Escape the urban bustle at Stand-Up Paddleboarding and Haleakala Crater. Explore hidden gems such as Kalepolepo Beach Park and Zipline. Step out of Kihei with an excursion to Ka'anapali Beach in Lahaina--about 42 minutes away. The adventure continues: see some colorful creatures with a scuba or snorkeling tour and kick back and relax at Pa'ako Beach (Secret Cove). To find maps, more things to do, and tourist information, go to the Kihei day trip website . Traveling by combination of taxi and flight from Hanalei to Kihei takes 2 hours. April in Kihei sees daily highs of 34°C and lows of 23°C at night. Wrap up your sightseeing on the 7th (Sun) early enough to travel to Kailua-Kona. You'll explore the less-touristy side of things at Pu'uhonua O Honaunau National Historical Park and Hapuna Beach State Recreation Area. Take a break from the city and head to Scuba & Snorkeling and Mauna Kea. There's more to do: get outside with Keauhou Bay Adventures and look for all kinds of wild species at Wildlife Areas. To find reviews, ratings, maps, and tourist information, you can read our Kailua-Kona trip builder app . Traveling by combination of taxi and flight from Kihei to Kailua-Kona takes 2.5 hours. Alternatively, you can do a combination of taxi, flight, and bus; or do a combination of taxi, flight, and bus. In April, plan for daily highs up to 33°C, and evening lows to 26°C. Finish your sightseeing early on the 10th (Wed) to allow enough time to travel to Page. Discover out-of-the-way places like Paria River Canyon and Northern Arizona Guide Service. Get outdoors at Paria Canyon Wilderness Area and Marble Canyon. You'll find plenty of places to visit near Page: Nautilus Rock (in Kanab) and Rainbow Bridge Trail (in Lake Powell). 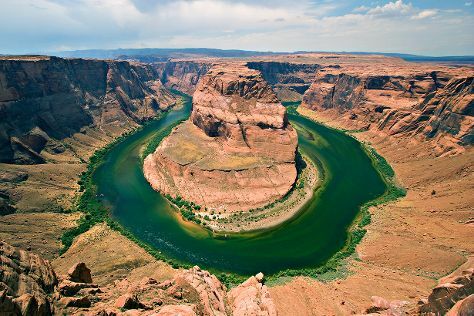 The adventure continues: take in breathtaking views at The Chains and take in the dramatic natural features at Horseshoe Bend. To see more things to do, other places to visit, ratings, and more tourist information, go to the Page trip planner . Fly from Kailua-Kona to Page in 11.5 hours. Alternatively, you can do a combination of flight and car. Due to the time zone difference, you'll lose 3 hours traveling from Kailua-Kona to Page. Traveling from Kailua-Kona in April, you will find days in Page are a bit cooler (26°C), and nights are cooler (10°C). 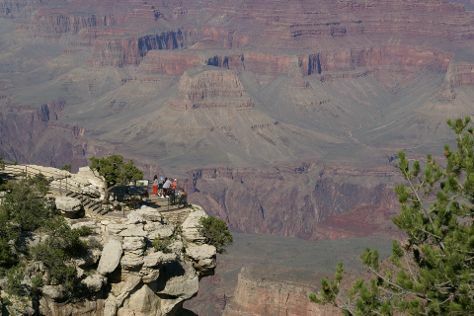 Finish your sightseeing early on the 13th (Sat) to allow enough time to drive to Grand Canyon National Park. Your cultural itinerary includes sights like Yavapai Geology Museum and Grand Canyon Railway Depot. Get in touch with nature at Rim Trail and Grand Canyon South Rim. 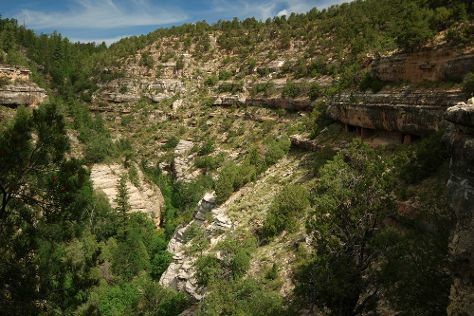 On the 15th (Mon), hike the day away at Bright Angel Trail. The adventure continues: hike along Cape Final Trail, stroll through Tonto Trail, explore the stunning scenery at Moran Point, and take some stellar pictures from Pima Point. To see photos, ratings, where to stay, and other tourist information, read our Grand Canyon National Park travel route builder site . Getting from Page to Grand Canyon National Park by car takes about 2.5 hours. Traveling from Page in April, expect nights in Grand Canyon National Park to be much colder, around -3°C, while days are little chillier, around 19°C. Wrap up your sightseeing on the 17th (Wed) early enough to drive to Sedona. Popular historic sites such as Walnut Canyon National Monument and V-Bar-V Heritage Site are in your itinerary. Step out of the city life by going to Oak Creek Canyon and Bell Rock. The adventure continues: take in the dramatic natural features at Cathedral Rock, take an unorthodox tour of Chapel of the Holy Cross, and explore and take pictures at Red Rock Scenic Byway (SR 179). For other places to visit, traveler tips, photos, and more tourist information, refer to the Sedona trip itinerary builder tool . Drive from Grand Canyon National Park to Sedona in 2.5 hours. While traveling from Grand Canyon National Park, expect somewhat warmer days and much hotter nights in Sedona, ranging from highs of 26°C to lows of 10°C. Finish up your sightseeing early on the 20th (Sat) so you can travel to Savannah. 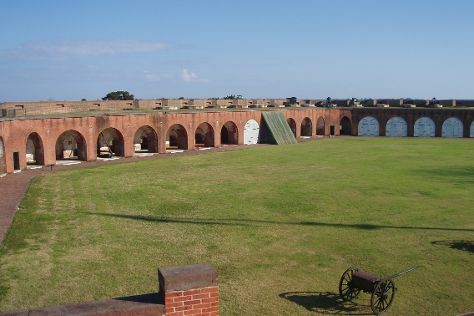 Satisfy your inner culture vulture at Tybee Island Lighthouse Museum and Fort Pulaski National Monument. Take a break from the city and head to Savannah National Wildlife Refuge and Dolphin & Whale Watching. Step out of Savannah to go to Hilton Head and see Coligny Beach, which is approximately 56 minutes away. There's still lots to do: steep yourself in history at Olde Pink House, take in the spiritual surroundings of Cathedral of St. John the Baptist, take a stroll through Savannah Historic District, and explore the different monuments and memorials at Bonaventure Cemetery. To see more things to do, traveler tips, where to stay, and other tourist information, you can read our Savannah road trip planning site . You can do a combination of taxi and flight from Sedona to Savannah in 9 hours. Other options are to do a combination of shuttle and flight; or drive. The time zone difference moving from Mountain Standard Time to Eastern Standard Time is 2 hours. Traveling from Sedona in April, you can expect nighttime temperatures to be somewhat warmer in Savannah, with lows of 16°C. Wrap up your sightseeing on the 23rd (Tue) to allow time to travel to Key West. Popular historic sites such as Audubon House & Tropical Gardens and Fort Zachary Taylor are in your itinerary. Get in touch with nature at Key West Butterfly & Nature Conservatory and Dry Tortugas National Park. There's much more to do: steep yourself in history at Truman Little White House, take a memorable tour with Tours, and cruise along The Overseas Highway. To see maps, photos, more things to do, and tourist information, you can read our Key West trip builder app . Getting from Savannah to Key West by flight takes about 6.5 hours. Other options: do a combination of bus and flight; or drive. Prepare for a bit warmer weather when traveling from Savannah in April: high temperatures in Key West hover around 33°C and lows are around 27°C. Wrap up your sightseeing on the 26th (Fri) early enough to take a bus to Marathon. 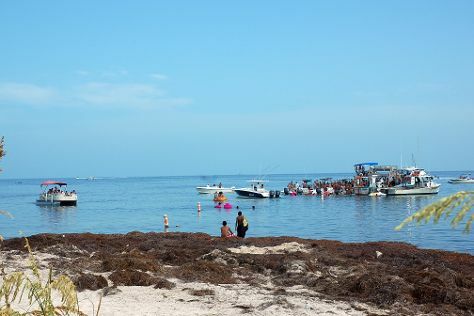 Step off the beaten path and head to Dolphin Research Center and Sombrero Beach. Get in touch with nature at Crane Point Museum & Nature Center and Island Time Boat Rental. Take a break from Marathon with a short trip to Fishing Charters & Tours in Islamorada, about 38 minutes away. There's more to do: identify plant and animal life at Marathon Garden Club and kick back and relax at Bahia Honda State Park. To see photos, traveler tips, maps, and tourist information, read our Marathon itinerary planning site . Traveling by bus from Key West to Marathon takes 1.5 hours. Alternatively, you can drive. In April, plan for daily highs up to 35°C, and evening lows to 28°C. Finish your sightseeing early on the 29th (Mon) so you can travel back home.